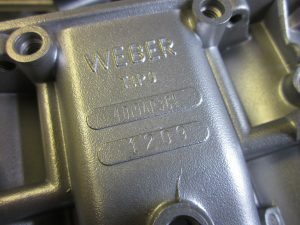 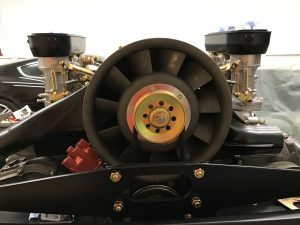 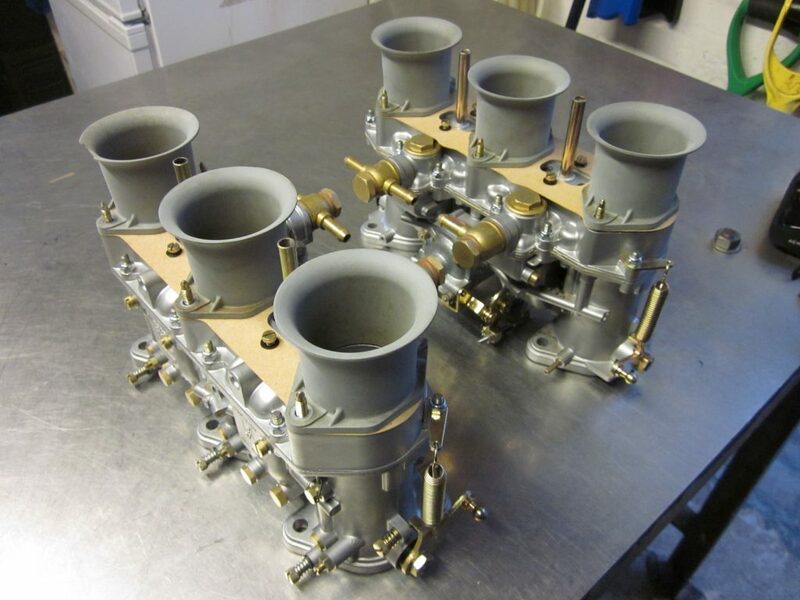 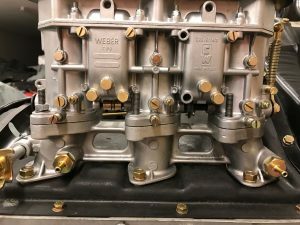 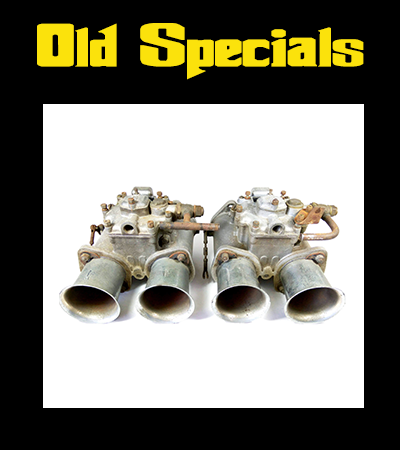 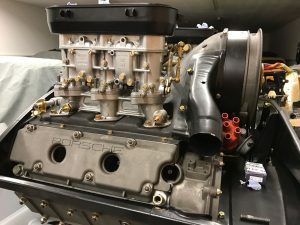 We received a phonecall about 6 weeks ago, from a gentleman who saw our WEBER DCZ triple carburettor restoration page, liked what we did and decided to ask us to restore his WEBER IDA3PC triple Choke Carburettors for his Classic Porsche 911..
And of course, we said Yes! 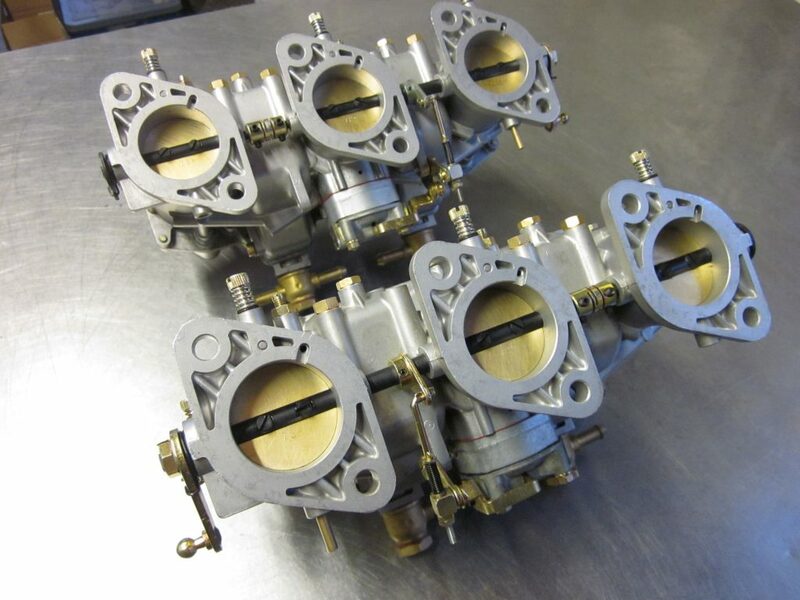 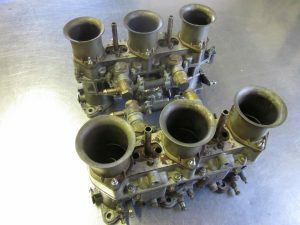 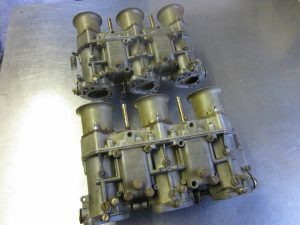 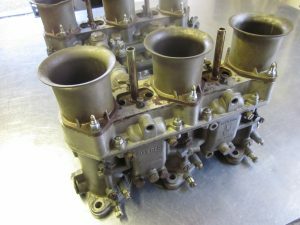 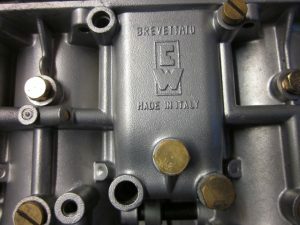 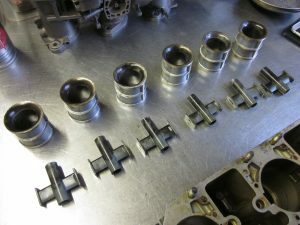 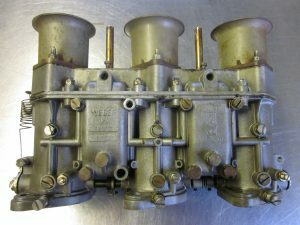 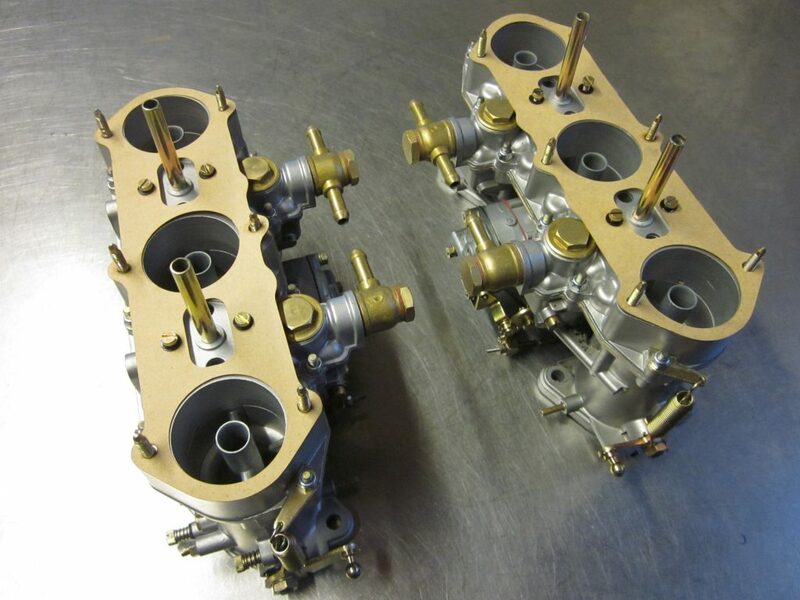 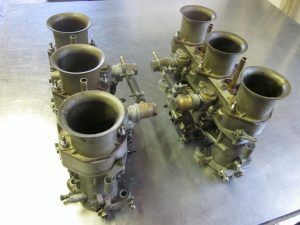 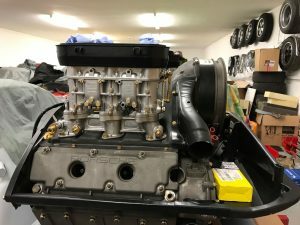 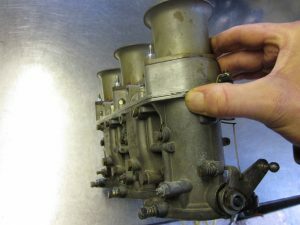 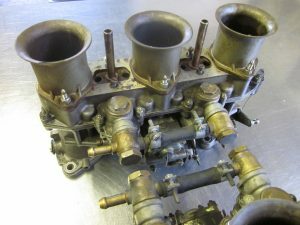 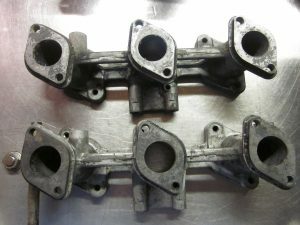 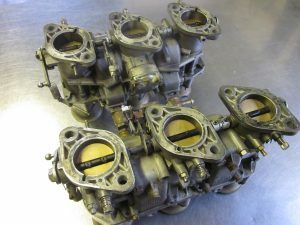 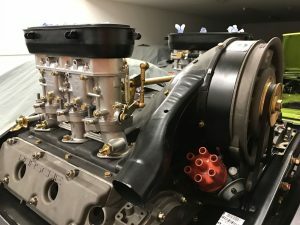 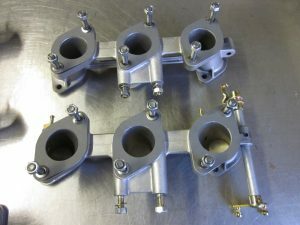 So, here they are – Genuine Italian Made 1960s WEBER Triple Choke 40 IDA3PC & 40 IDA3PC1 Carburettors (with manifolds). 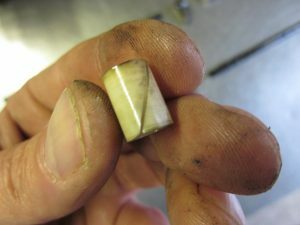 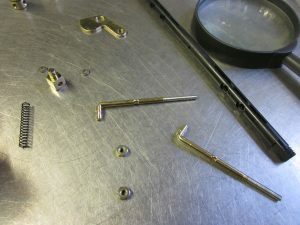 The challenge here is to carefully strip and separate all the miniscule parts without damaging any of the obsolete parts i.e. 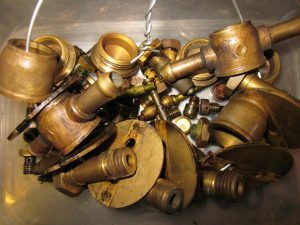 castings. 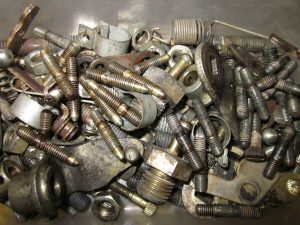 The screw threads – male & female – require special attention as many are sized due to age and the environment they have been subjected to. 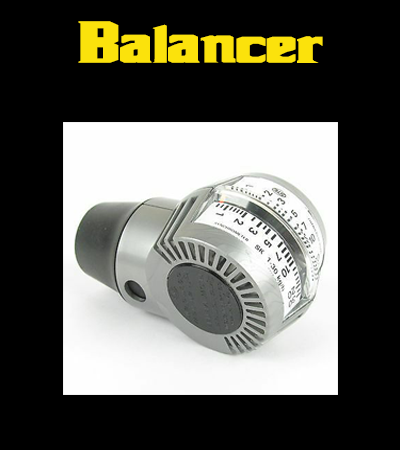 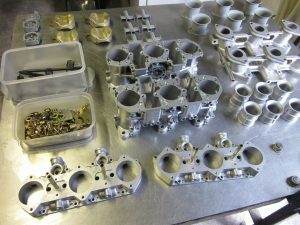 Correct engineering practice, suitable tools, necessary equipment and patience are essential! 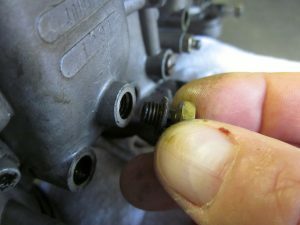 A slip of the hand here, could literally cost thousands of pounds/dollars (depending where you reside) and weeks/months of additional time & effort! 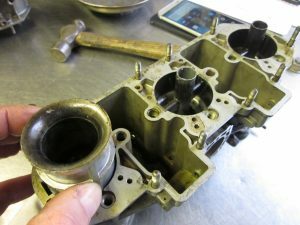 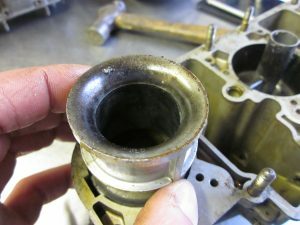 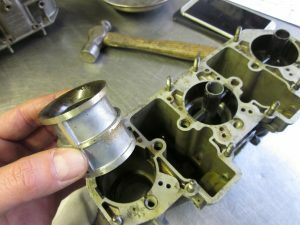 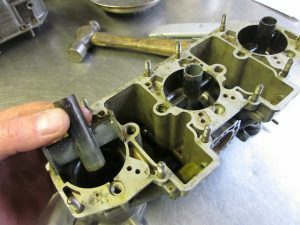 So, after careful external examination, we began the stripping procedure and opening the carburettors to look inside..
Brass parts container almost full! 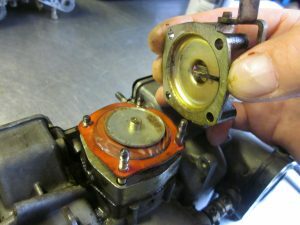 and even more choke removal.. 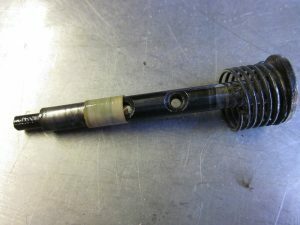 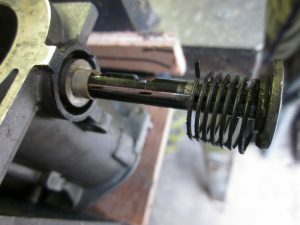 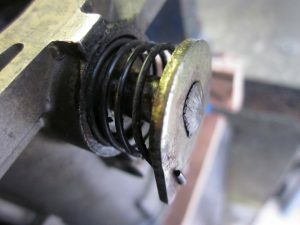 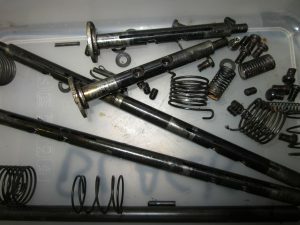 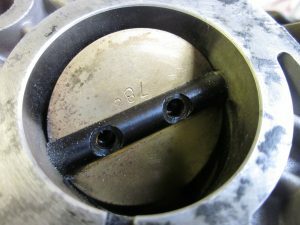 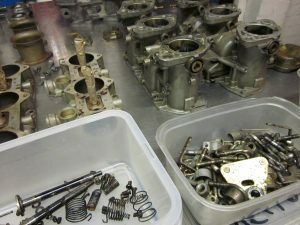 The most challenging removal was the air correctors/emulsion tubes and throttle valve screws. 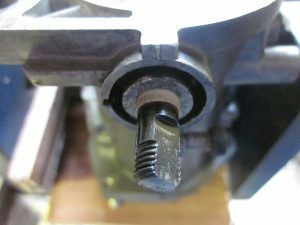 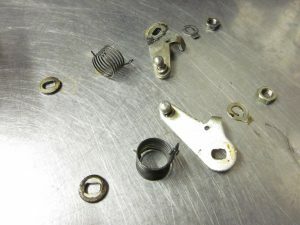 Also the studs that mate the top cover to the body were pretty much seized..
An impact stud-extractor was used to remove these. 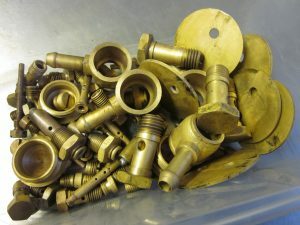 Some stubborn studs had to have blow-torch treatment. 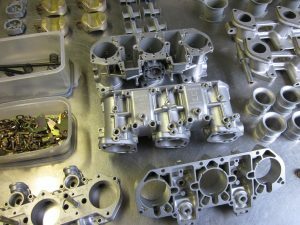 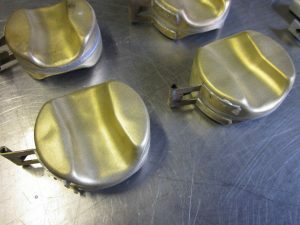 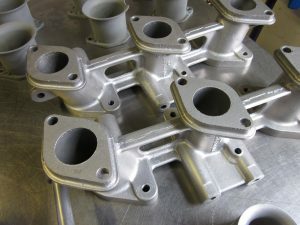 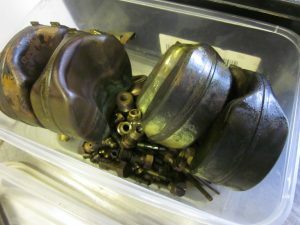 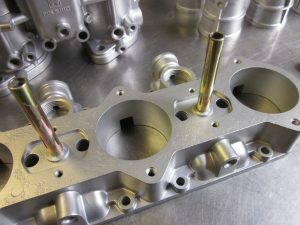 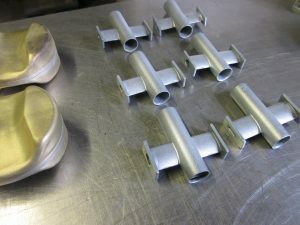 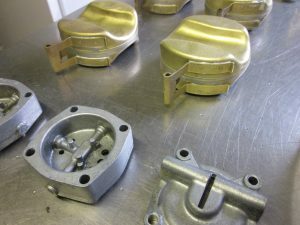 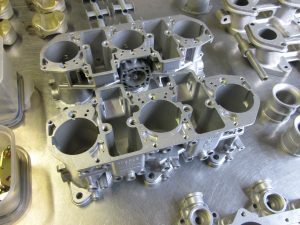 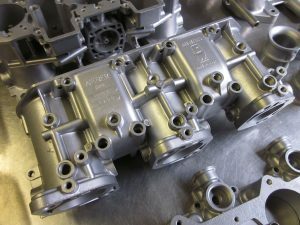 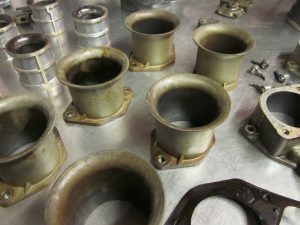 Fully stripped castings and top covers ready for vapour blasting, steel fasteners such as studs and throttle levers ready for yellow zinc plating, throttle spindles, springs and roll-pins ready to be re-black phosphate coated, and the brass parts get dipped into warm hydrochloric acid. 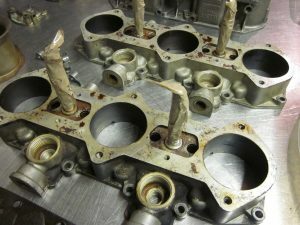 Hydrochloric acid can be quite deadly, and is for industrial use only. 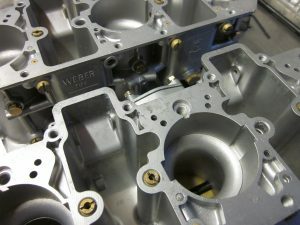 37.5% is for industrial use only and is purchased by licence-holders only. 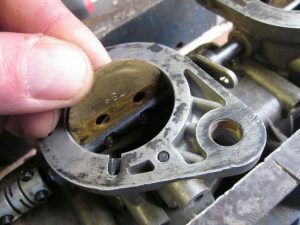 If you do happen to have access to it, use it but treat it very, vary carefully. 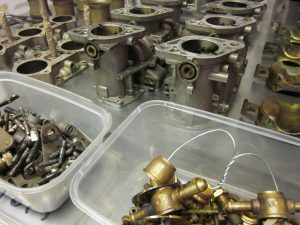 At this stage of the restoration process we’re preparing the parts ready for inspection after their refurbishing processes have been completed and preparing for re-assembly and setting-up. 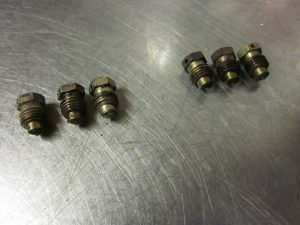 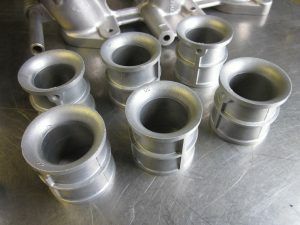 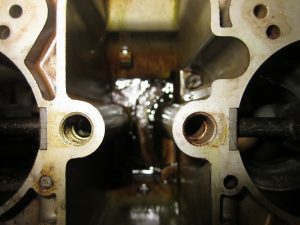 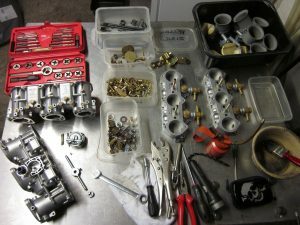 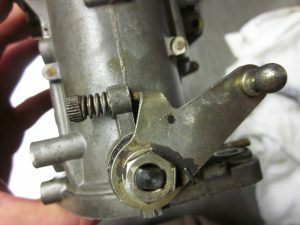 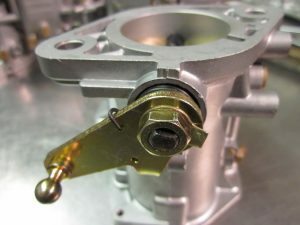 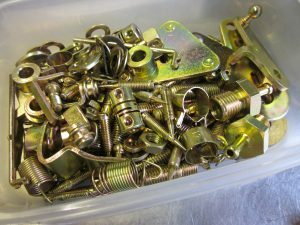 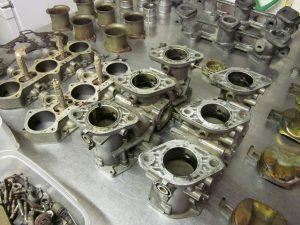 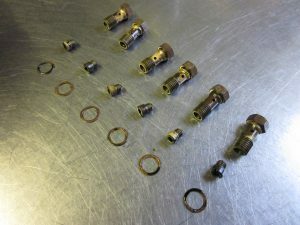 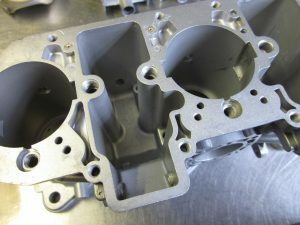 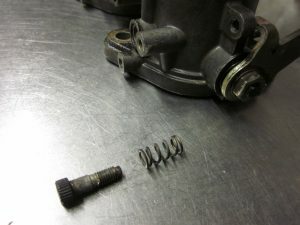 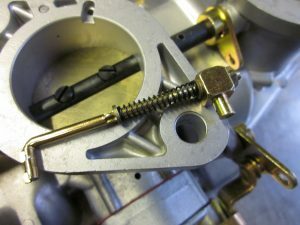 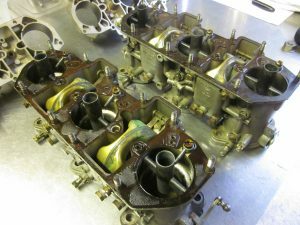 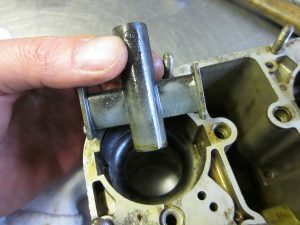 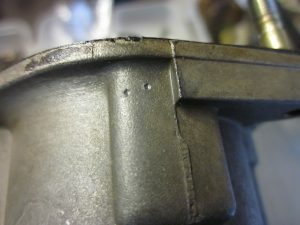 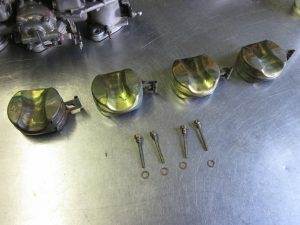 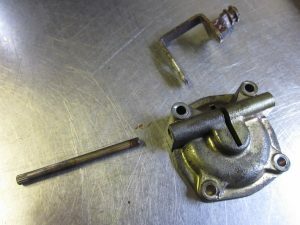 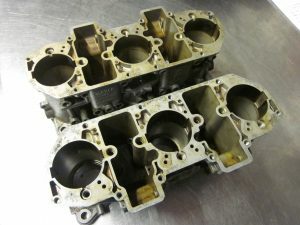 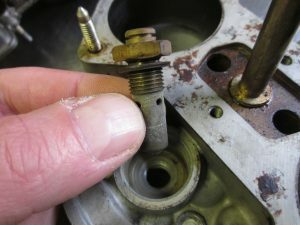 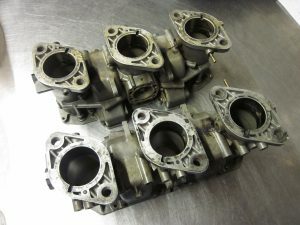 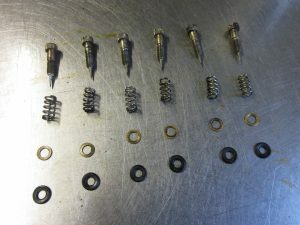 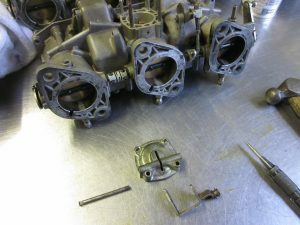 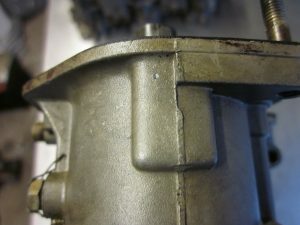 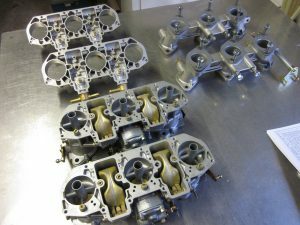 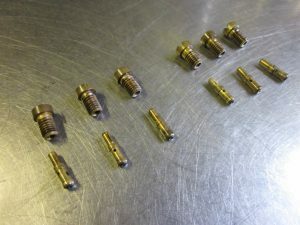 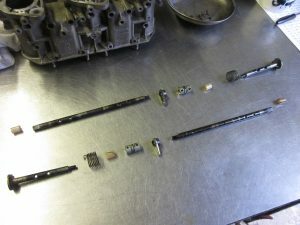 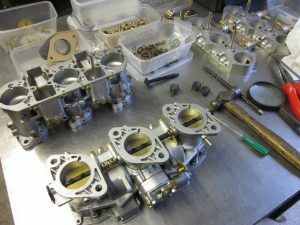 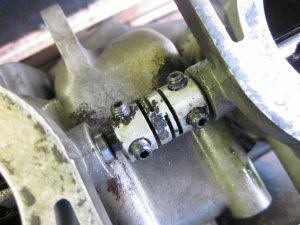 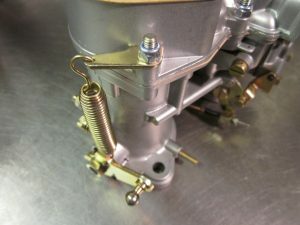 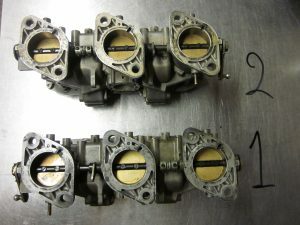 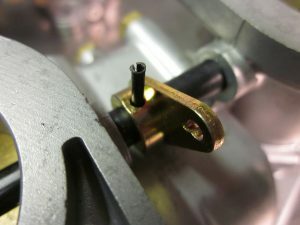 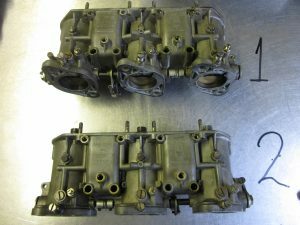 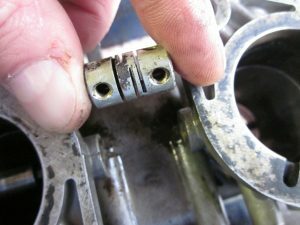 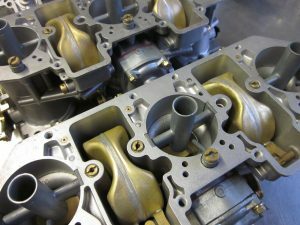 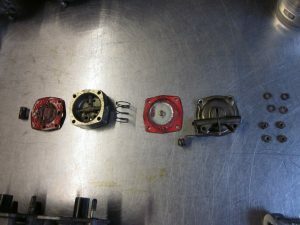 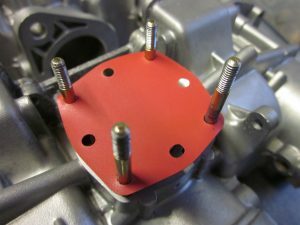 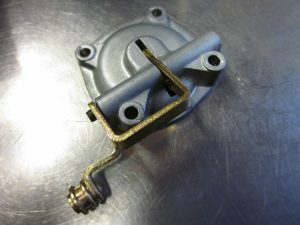 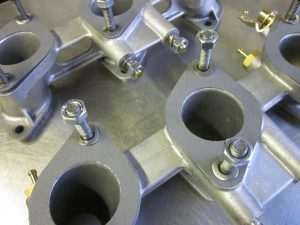 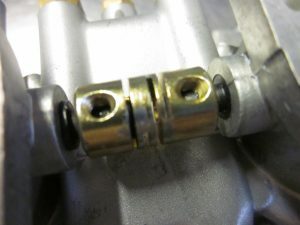 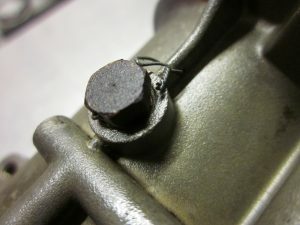 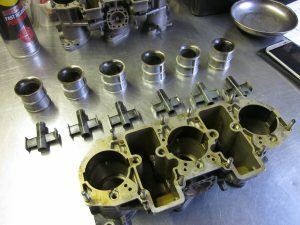 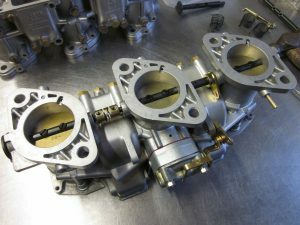 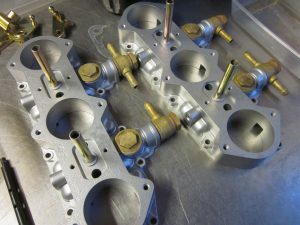 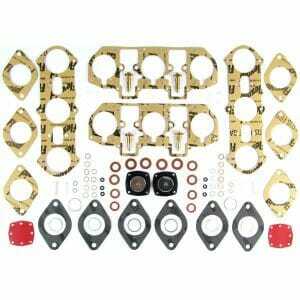 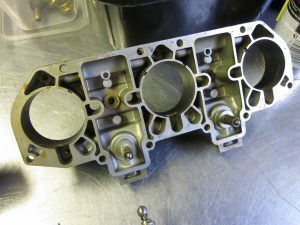 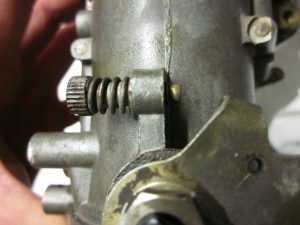 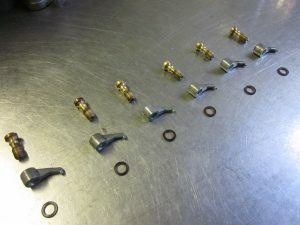 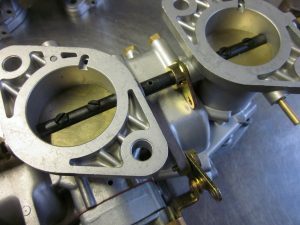 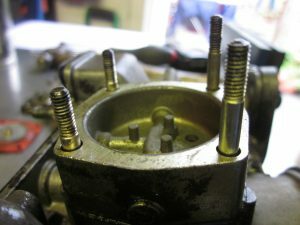 Below are photos of the stripped/dismantled carburettors and their parts. 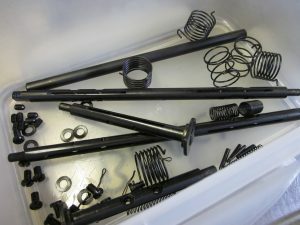 Parts ready for treatment now.. 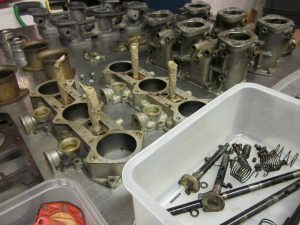 Remaining parts kept safe and treated by hand (most get thrown away after restoration has been completed. 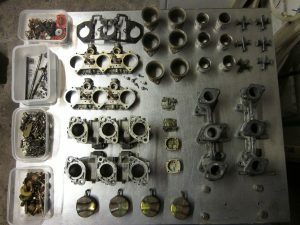 Here are the carburettors and their parts after treatment(s). 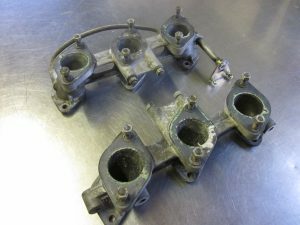 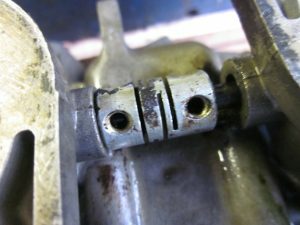 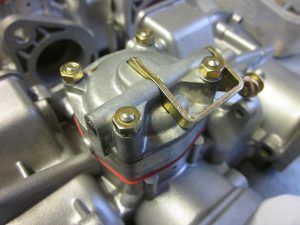 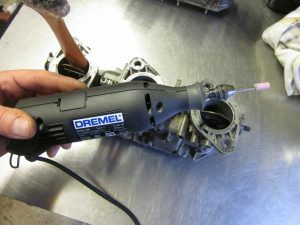 It is vital to use clean, compressed air to remove any debris and loose particles from all carburettor castings and parts. 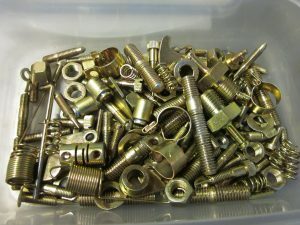 Stud, screw hole & mixture orifices in particularly must have special attention. 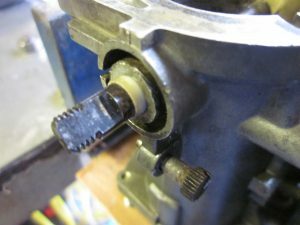 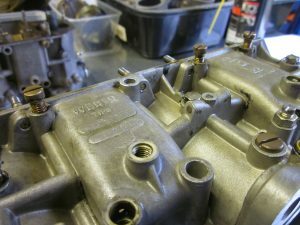 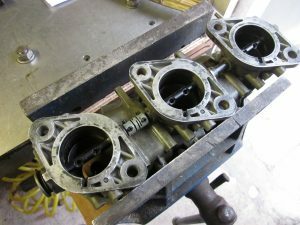 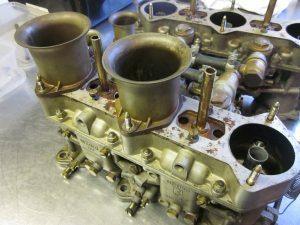 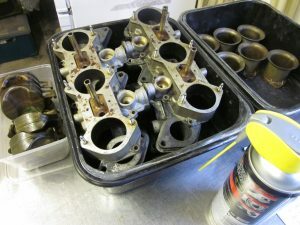 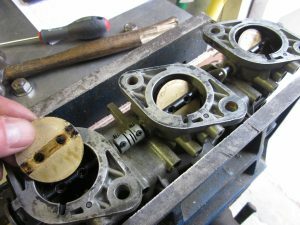 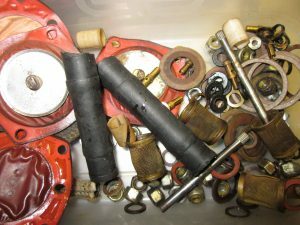 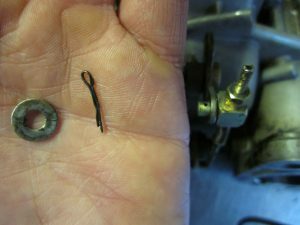 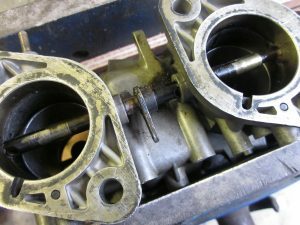 Once carburettors and parts are sufficiently clean – rebuild can begin! 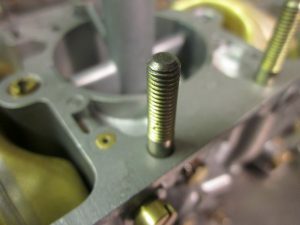 The idle mixture screws, air by-pass screws were set to manufacturer specifications – Ready to start the engine! 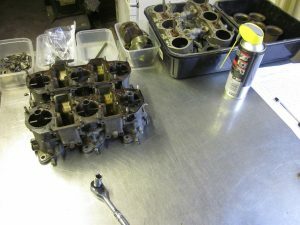 Also the floats needed some attention. 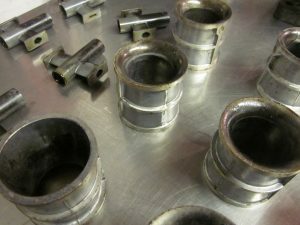 These were measured after installation and two of them were found to be out of tolerance. 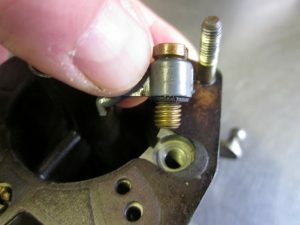 So adjustment was necessary. 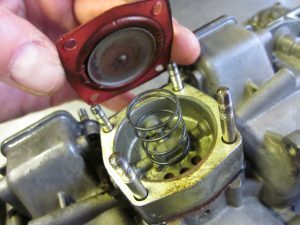 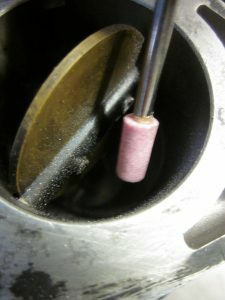 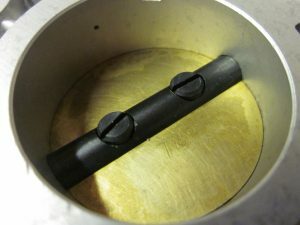 Very delicate and intricate procedure, but equally important to get correct fuel level in the chamber. 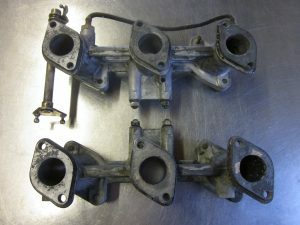 Carburettors & manifolds are now ready be plumbed in, fit the throttle linkage, pump the gas and start the engine! 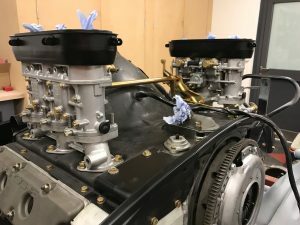 After this, the car will have a rolling-road tuning session to balance the carburettors and get the very best out of these 50 year old Italian beauties!! 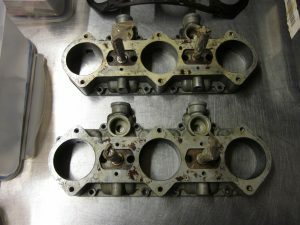 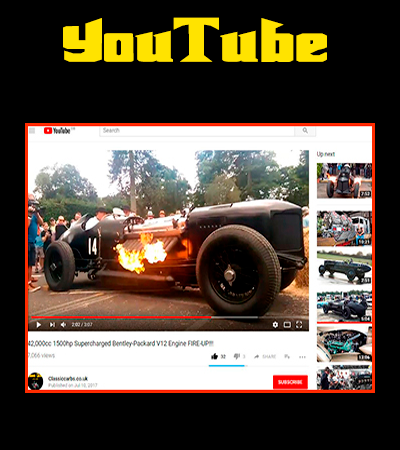 Thank you for looking at our restoration page.